A brief moment of disappointment washed over me as I approached Jace’s lifeless body. Here I was, about to kiss a boy on the lips for the very first time, and he was completely comatose—possibly paralyzed—and would never even know or remember the experience. This was not how I’d envisioned my first kiss—me invisible, him unconscious. Shayla Witherwood is not exactly normal. First of all, she’s spent her entire life being homeschooled, traveling in an RV around the country with her grandparents. And second, there’s the kind of inescapable fact that her mom was a genuine faerie. But now that she’s starting a real life in a regular high school, Shayla desperately needs to stay out of trouble in both worlds because even her faerie powers might not be enough to protect her from what’s coming. In her latest novel, Tamra Torero spins a magical tale filled with laugh-out-loud sarcasm, surprising twists, and spell-binding romance. Perfect for fairytale fans of all ages, this is one story you won’t want to miss! I admit! I find this book a bit boring. It was a struggle for me to finish it. This book needs more spice! This book is a light and fast read. 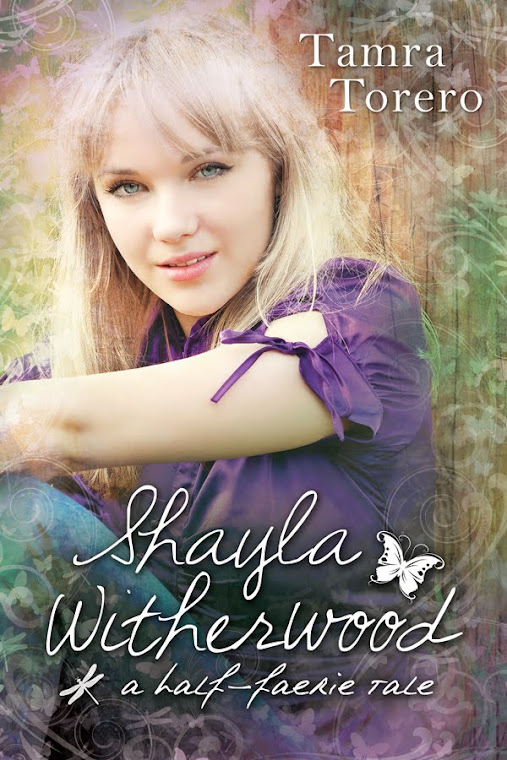 I like the cover since I get to see how Shayla really looks like. The story is about a Half-fairy name Shayla Witherwood. For the first time, she went to a regular high school called Jasper Jenkins to get in touch with her human side. There she met a bunch of people; A geeky guy name Daniel, a pretty girl name Josi, The heartthrob Jace and Queen Bee Bree. She finds it hard to blend in without giving away her identity or in her case her pointy ears. She also struggles to keep her identity hidden due to her unrestrained powers. The story took a great turn when Jace was hit by a football and was completely unconscious. They say fairy kiss can heal people. With that knowledge, Shayla risked her identity to save Jace. She glamoured herself to be invisible and kissed Jasper Jenkin’s Golden boy. Jace was healed! She thought she was off the hooked but someone in Jasper Jenkins knows what she is; someone with a sight. She suddenly finds herself in danger. Someone wants to harm her while some wants to protect her. Who is she really? You have to read the book to find out. Overall, this book has a potential but not to my liking. Too bland,it needs more spice. I recommend this book to faerie lovers and who wants a light read.